T he earliest mention of the phrase ‘Black Friday’ was used to describe the day after Thanksgiving in the United States in 1952, which is usually the Friday after the fourth Thursday in November — a day considered to be the beginning of the country’s Christmas shopping season. Black Friday was coined to describe the heavy and disruptive pedestrian and vehicle traffic that would occur on the day after Thanksgiving. Twenty years after its first mention, the phrase became more widespread and represented the point in the year when retails began to turn a profit, thus going from ‘being in the red’ (losses) to ‘being in the black’ (profits). In 2003, Black Friday was the busiest shopping day of the year, and has retained that position every year till date. It has become a shopping day in the US for a number of reasons: as the first day after the major holiday before Christmas, it marks the unofficial beginning of the Christmas shopping season; some employers give their employees the day off as part of the Thanksgiving holiday weekend and, retailers in the country both big and small take advantage of the holiday by offering various sales incentives to attract traffic to their stores. Since the beginning of the 21st century, there have been attempts by retailers with origins in the US to introduce a retail Black Friday to other countries around the world. Prior to the debut of ecommerce platforms in Nigeria, Black Friday was relatively unknown. Jumia introduced Black Friday to Nigerians as a shopping festival in November 2013. Shortly after that, other ecommerce players created their own simulation such as the Yakata Sales, but unfortunately this didn’t command as much buzz as the Black Friday shopping festival. 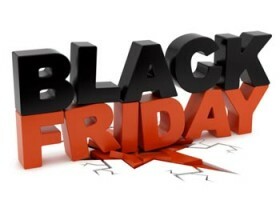 Similar to what it stands for in developed countries, especially its country of origin — the US, Black Friday has been known in Nigeria to be a day that online retailers — and until recently, offline stores — dedicate to offering jaw dropping discounts across all product categories in an attempt at attracting traffic to their platforms. It is interesting to note that media reports have shown that Black Friday seems to be the most productive & profit driven period for most ecommerce platforms and their vendors. It provides them opportunity to level up their sales target considering there’s usually an enormous influx of shoppers during this period. Little wonder, most of the vendors selling on ecommerce platforms, Jumia for instance, always offer their products for sale at extremely low prices, in addition to offering free delivery and shipping for items above N10,000 in major cities such as, Lagos, Abuja, Port Harcourt, Ibadan, and many more. Realizing that a day might not be sufficient to shop, and considering the fact that, unlike the US, Black Friday is not yet a public holiday in Nigeria, some ecommerce platforms have extended the shopping festival to cover a period of one month, usually starting mid November through mid December. Thus, providing shoppers an extended period to shop for the Christmas season. A case in point: last year Jumia held its simulation of the Black Friday between November 24th & December 24th, giving Nigerians ample time to shop for their favourite products at the best prices. Other online retailers followed suit, but unfortunately couldn’t hold the fort beyond a period of one or two weeks. This might be understandable because only a few of these ecommerce platforms command enough patronage from the Nigerian shoppers, largely due to trust issues, substandard products, and inefficient delivery system. Safer for them to run the Black Friday campaign within a window period that allows them to quickly cash in and count their losses. Sadly, this doesn’t benefit the shoppers in the long run, as many of them will rather take their time to shop during this period without fear of the amazing discounts closing out within just a week. Besides, shopping, to many, is therapeutic; it’s never done in a hurry. Another advantage of the extended Black Friday campaigns which Jumia is championing year-on-year, is the opportunity it affords shoppers to compare prices with other online retailers before making a purchase decision. Customers wouldn’t have this luxury if the campaign only runs for a day, or at most a week. E-retailers therefore need to learn to always put the interest of the customer first before anything else. Jumia shows good leadership in this regard. The second biggest beneficiaries of the Black Friday shopping festival are the entrepreneurs who sell on various ecommerce platforms, and in offline stores. Although, while there’s no accurate & reliable data to show the percentage of customers who still patronise brick & mortar shops in Nigeria, the continuous rise in the usage of smartphones to shop — thanks to internet penetration — in both urban & rural areas provide a hindsight on where most shoppers might find most convenient to shop for their everyday needs. To maximize the sales opportunities during this period, entrepreneurs selling on ecommerce platforms, using Jumia as an example, must among other things, (1) offer the most competitive price for their wares. The eCommerce platform is a battlefield, only the seller with the best prices stands a chance to attract shoppers’ attention. This is one of the best time to grow the business on volume, even while selling — probably at half the price; the more the orders, the better for the business. Moreover, the products with the most competitive prices will, (a) likely be displayed on the first page of the ecommerce website, (b) likely be sent via newsletters to millions of customers signed up on the platform, (c) likely be included in paid online advertising, sponsored by the platform. (2) check the quality of your products. Customers who buy an inferior product oftener from your online store won’t return for a repeat purchase. Although, some ecommerce platforms encourage customers to return products they consider inferior, or a far cry from what was ordered. Jumia for instance has a 7-day window period for accepting returns. Ensure you offer to sell only good quality products that will pass the QC test established by the eCommerce platform. This reduces to the barest minimum the risk of returns from unsatisfied or disgruntled customers, which if successful, translates to completed sales for you. It also absolves the risk of getting your store deactivated, which should be a stringent procedure for a serious eCommerce website. (3) ensure your delivery system is top-notch, especially if you do same day delivery. Or else, enlist the services of trusted delivery & logistics companies, such as Max, Jumia Services, and others. (4) use the right product image and description. If your product only functions at night, add it in the description. Don’t lure customers into thinking they are buying a Ferrari when in reality, you’re selling them a Mercedes-Benz. Let the product image you upload on the website be the same with the product you’re going to deliver. Specify and update what colours you have in stock at all times. Say no to misleading & deceitful product descriptions. While these tips are standard procedures for Jumia vendors, and an integral part of their training curriculum, sellers on other platforms can also apply to make the best out of this year’s Black Friday shopping spree, which I’m given to understand will kick off November 2nd through 30th. It’s a unique opportunity for entrepreneurs to turn losses into profits before the year winds up. It’s up to you to change the narratives for your business during this year’s Black Friday. Shoppers remain the biggest beneficiaries of Black Friday. Those looking to save money while shopping heavy will take advantage of the special deals and discount vouchers that will be available for shoppers during this period. What is that product you’ve been saving up for months or weeks to buy? Is it an electronic gadget? iPhone XS, XS Max or iPhone XR? Kitchen gadget? Groceries? This is the best time to fill your shopping carts with all the products you’ve always wanted, but couldn’t afford at once. You buy more and spend less. Typically, when navigating an eCommerce website don’t buy the first product that seems affordable to you. Compare the product price and quality with other sellers on the same platform. Look out for the sellers ratings and comments of previous buyers of similar products. Spend some time browsing through the website to find excellent deals. The goal is to spend less to get more. Interestingly, urban dwellers are not the only beneficiaries of the eCommerce explosion. Most rural dwellers and those in the remotest areas — with or without the internet — also participate actively in shopping online, especially during Black Friday period when most items are sold at almost half the price, sometimes at 70 — 80% off. My grandmother bought a mobile phone during last year’s Black Friday at 40% off. She had no access to the Internet, nor did she know how to use a computer device to surf the internet, even if she had access. I had sent her money to buy a phone from one of the dealers in her neighborhood. To my utmost dismay, she said she’ll rather buy it online and save some money. “How will you do that?” I asked. “Dele, the teacher, told me he will buy it from his company online because they sell it cheaper,” she quipped. Dele was one of the secondary school teachers in the village. He and grandmother had an excellent rapport. Out of curiosity, I called Dele to inquire about the claim, and most importantly to be sure he wasn’t playing a fast one on the aged woman. “How could he think of duping mama after all these years of constant moral and financial support she had provided for him?,” I thought to myself in sheer disbelief. The anticlimax happened when I put a call through to Dele, only to be told that aside his teaching job, he has also been trained by an eCommerce platform on how to sell products listed on their platform to rural dwellers who either have no access to the internet, or who simply can’t operate a computer device. He explained to me that with the help of his tablet, he can show the customer pictures of the item on the website, and also explain the functions and prices. In fact, he would go as far telling the customer the rating of each seller and comments of previous buyers, to guide the customer through the buying process. He would do this, most times, in the customer’s native language. So, in addition to his teaching career, he’s also an entrepreneur who receives periodic training on how to sell and make profit. Aside Dele, there are thousands of trained entrepreneurs scattered across the country — although most of them have other business interests they pursue — who have benefited from the Jumia J-Force programme. The programme provides them the opportunity to make extra income in addition to their full time job. For those who live in the rural areas, they avail dwellers in these places the opportunity to enjoy the luxury of online shopping, at the most affordable prices. They actively engage the dwellers in all the special campaigns that promise huge discounts and mouth watering deals. Black Friday will be upon us in the next couple of weeks. Everybody is excited: the entrepreneurs, the customers, the eCommerce platforms, and the Nigerian economy. I, for once, am excited and look forward to it with beaming eagerness. As a reminder, for this year’s Black Friday shopping festival to be successful, here are a few pointer for eCommerce websites: ensure you provide customers with a wide assortment of genuine products at the best prices; beef up your logistics capacity to deliver orders on time; equip your customer service unit to handle complaints and returns in a timely manner. And here’s a reminder too for the customers: don’t spend that money now. Save the last for the best. Take advantage of the free shopping vouchers, participate in the various treasure hunts and keep your focus on social media to stay abreast of other opportunities to buy your favourite items for less from Nigeria’s number one shopping destination, Jumia.